Anne Bignall, Valerie Dawson, Claire Wilson and programme manager Andy Golightly. 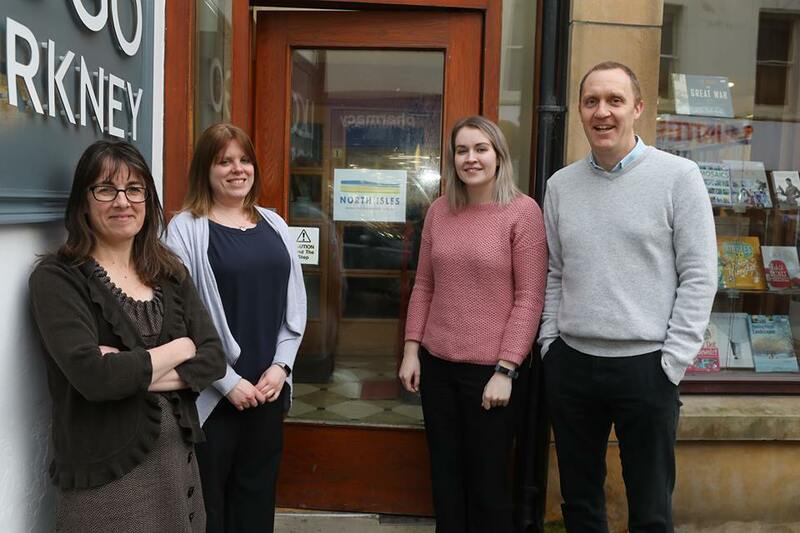 Anne Bignall, Valerie Dawson, Claire Wilson and programme manager Andy Golightly will work with communities on the North Isles to deliver projects that will promote the heritage, landscape and culture of the area. Working with the communities on the North Isles the NILPS will deliver projects that will promote the heritage, landscape and culture of the area. Funded by the Heritage Lottery Fund, the scheme will support Orkney’s North Isles through the delivery of a number of projects that includes traditional skills training, educational programmes, wildlife recording and enhancement of isles heritage centres amongst others. <Previous PostWhit’s on this weekend?